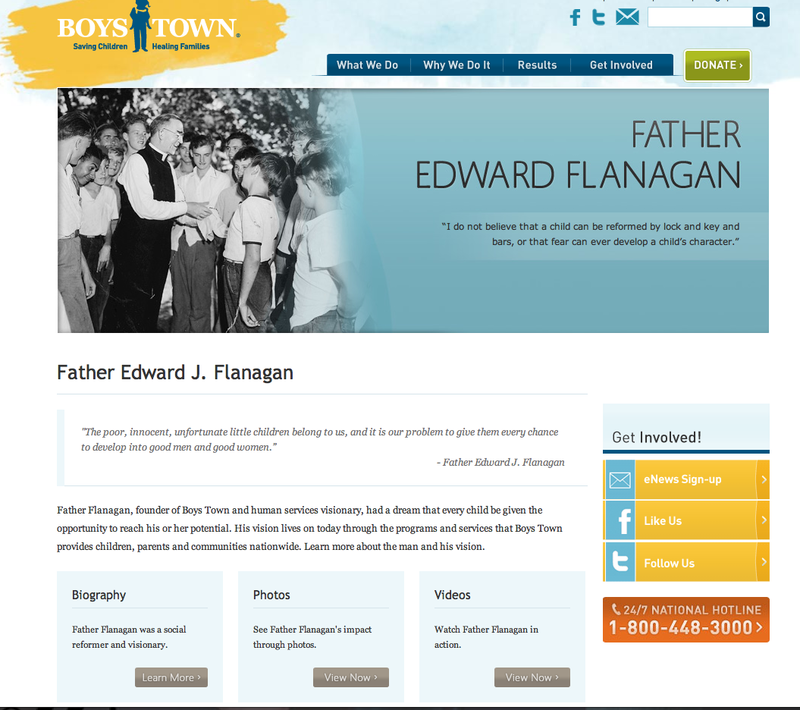 Around the turn of the twentieth century, Father Flanagan decided to move from ministering to homeless men to creating a home for struggling young men in rural Omaha. 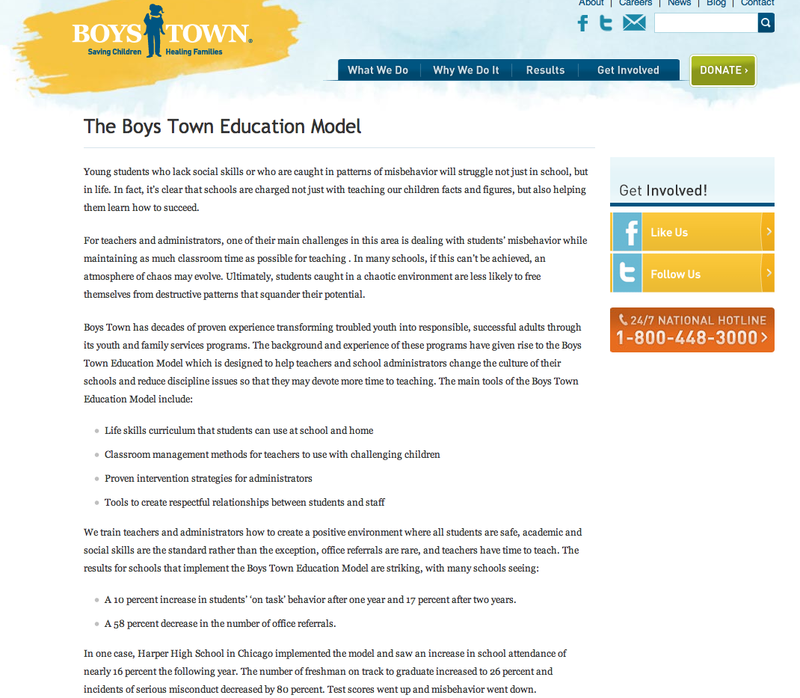 In 1917, Boys Town was born, More than just a tourist destination with its own zip code, Boys Town funds nationally-respected social sciences research and has opened up locations across America, trying to take Father Flanagan’s mission into the twenty second century. 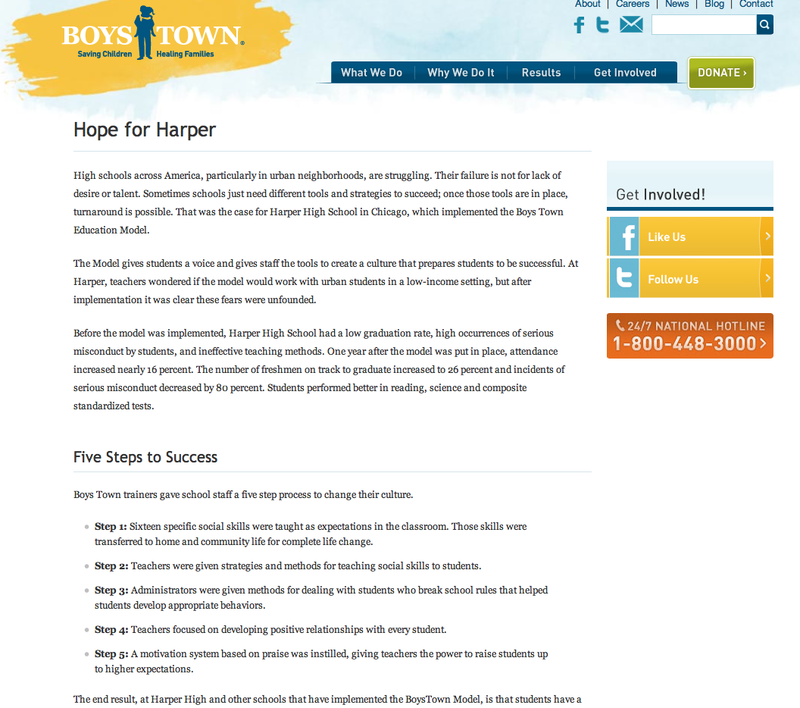 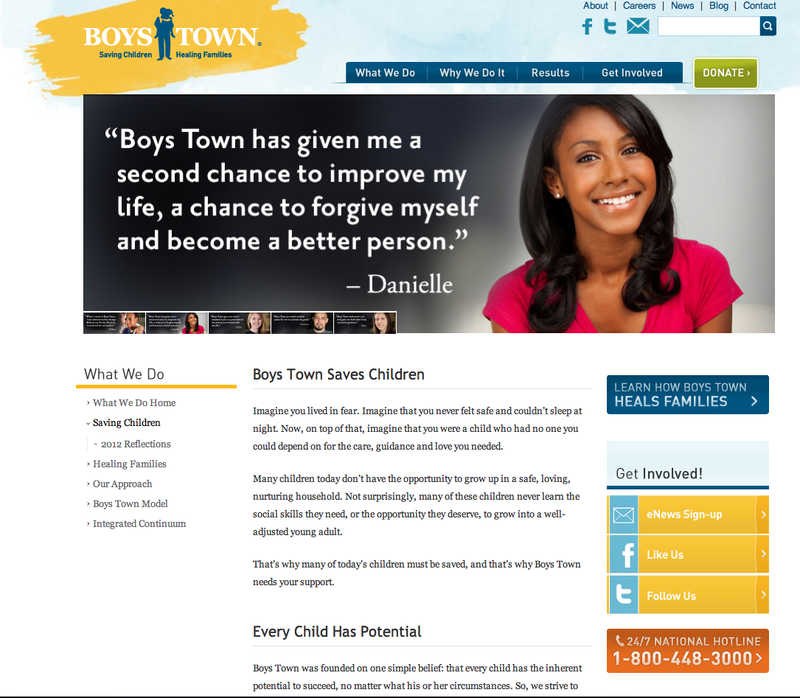 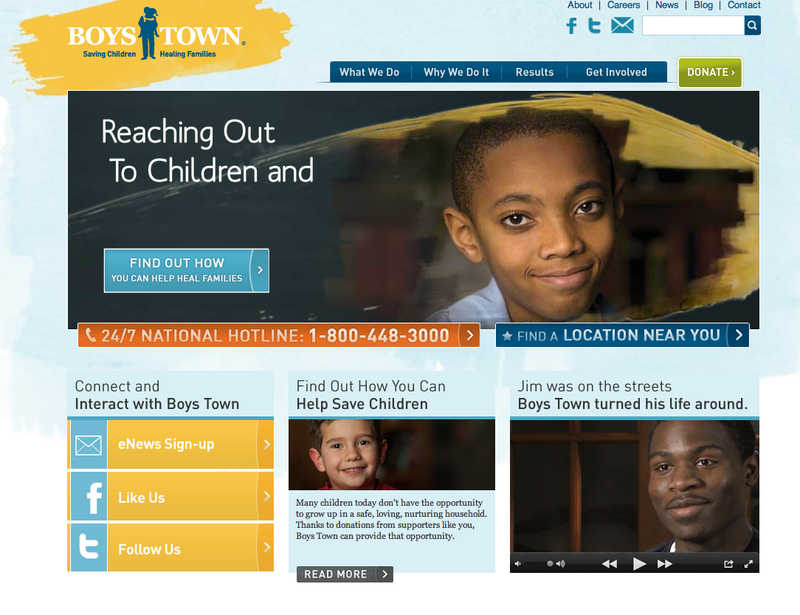 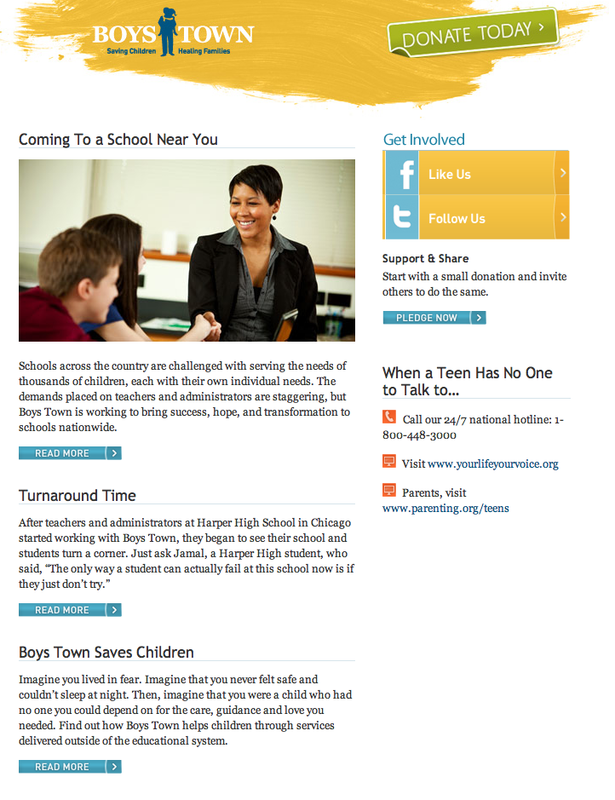 InkHarmony was contracted by a local advertising agency to provide online content for Boys Town’s main website as well as two of its micro sites, parenting.org and commonsenseparenting.org. 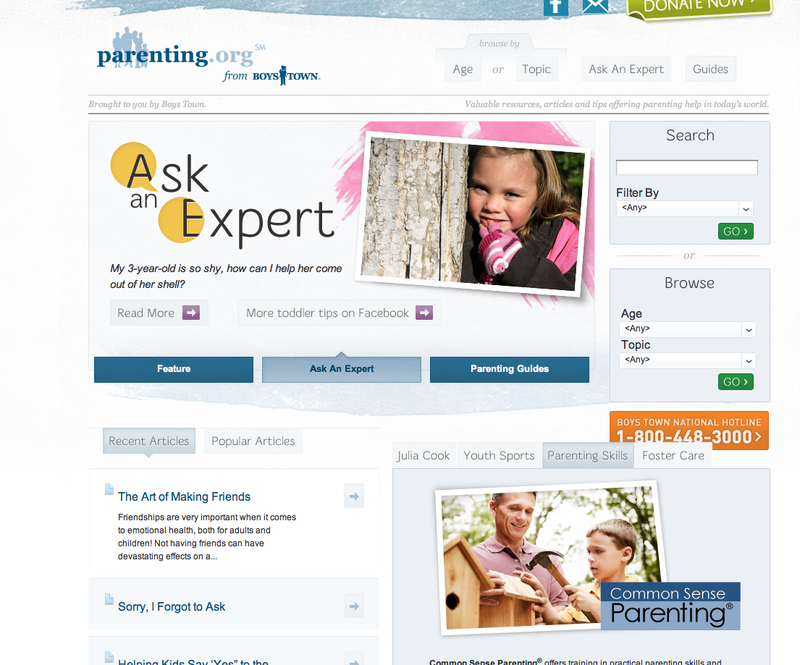 Content includes donor-focused language and a variety of advice-oriented articles designed to be a resource for parents and caregivers.